Our office specializes in state-of-the-art restorative and cosmetic dentistry to correct, restore, or enhance your smile to fit your own unique facial form. Our goal is to integrate aesthetics as part of total dental and overall health, while creating an overall pleasing and natural facial appearance. Holistic Dentistry is a philosophy that recognizes that the teeth and associated oral structures are a part of the whole body. Because of this important relationship, we offer a wide range of healthy treatment options. 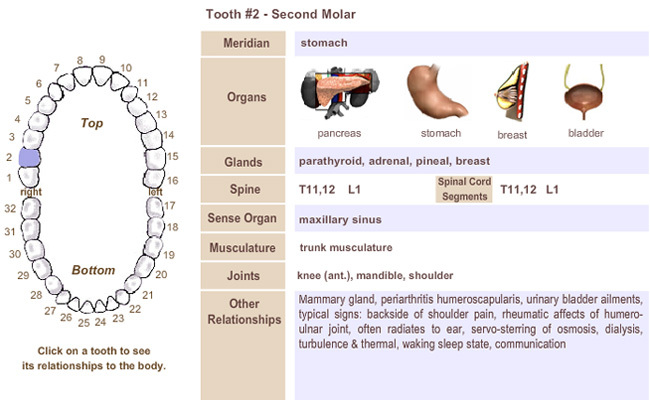 See our interactive Meridian Tooth Chart to learn how each tooth relates to the body. Dr. Zraiqat can safely remove and replace old mercury fillings. 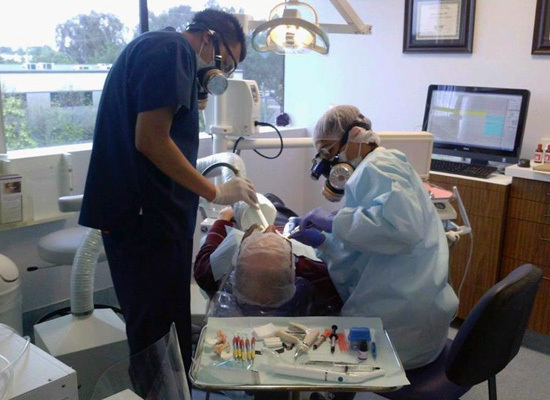 He is one of only a few dentists in the United States that has dual certification for safely removing mercury fillings. He's SMART (Safe Mercury Amalgam Removal Technique) Certified by the International Academy of Oral Medicine & Toxicology (IAOMT) and certified in safe amalgam removal by the International Association of Mercury-Safe Dentists (IAMSD). Next, read more about our Mercury Filling Removal and other services. In addition to being SMART Certified, Dr. Zraigat is also accredited by the IAOMT (an award not common among other holistic dental practitioners in the area), signifying that he is proficient in the principles and foundations of biocompatible dentistry and that he has completed the IAOMT’s advanced educational programming about biological dentistry. Read more about IAOMT Accreditation. "Why should I choose Dr. Zraiqat?" Dr. Ayman Zraiqat has the experience and the credentials (that exceed most, if not all, dental practitioners in the area) to provide you truly holistic dental care and expert guidance. He takes a unique Whole Body approach to oral health care; combining sound dental science, technology, and experience with a deep concern for his patients' emotional well-being and comfort. Board Certified in Integrative Biologic Dental Medicine by the American College of Integrative Dental Medicine (ACIDM). SMART (Safe Mercury Amalgam Removal Technique) Certified by the International Academy of Oral Medicine & Toxicology (IAOMT) in safe removal of mercury fillings. Proficient in the principles and fundamentals of biocompatible dentistry and was awarded the Certificate of Accreditation by the International Academy of Oral Medicine & Toxicology. Read more about IAOMT Accreditation. 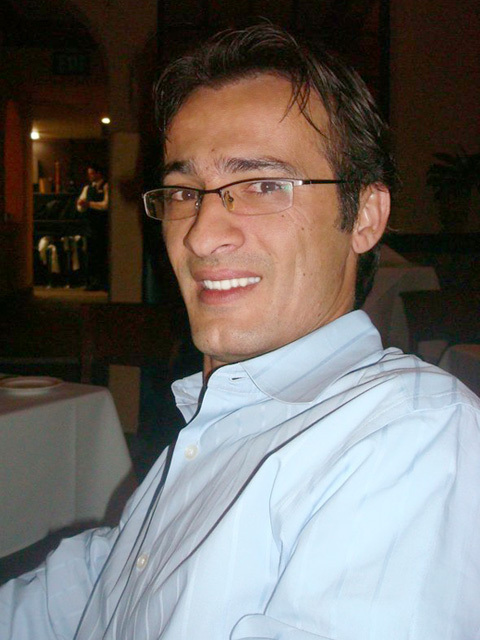 Dr. Zraiqat Has More Than 15 Years of Experience Practicing Biologic Dentistry. A member of the International Academy of Oral Medicine and Toxicology (IAOMT). Founding Member and a Fellow of the American Academy of Ozonotherapy (AAOT). A member of the Holistic Dental Association (HDA) and the Academy of Biomimetic Dentistry (ABD). Certified in Safe Amalgam Removal by International Association of Mercury-Safe Dentists (IAMSD). This Whole Body philosophy stresses the use of biocompatible dental materials whenever possible. Dr. Zraiqat also works closely with highly qualified health professionals to assist him in his efforts to return the patient to optimal oral and overall health. His Health-Centered, Patient First approach to holistic dentistry means that he treats the teeth, jaw, and related oral structures, with specific regard to how that treatment will affect the entire body. Dr. Zraiqat is certified in the safe removal of mercury amalgam. We can safely remove and replace your old mercury fillings in no time! We strive to use the most biocompatible, metal-free, BPA-free materials suited for each individual. Click to read more information about safe Mercury amalgam removal and our Mercury-safe dentistry practices. Homeopathic dentistry seeks cures that correspond with the natural laws of healing, which recognize the principle that mind, body, and spirit are interrelated. In addition, the body has the ability to heal itself with the aid of materials and methods that are nontoxic and have no side effects. With this belief, we treat weak, fractured, and decayed teeth to keep them strong and protect them from bacterial invasion. Homeopathy is integrated in our practice and we often use homeopathic remedies before, during, and after the procedures. Click to read more information on biomimetics and homeopathic dentistry. We now offer Zirconia ceramic dental implants! Today, well over 95% of the dental implants placed are titanium alloys. Titanium is a metal, meaning it suffers corrosion. In addition, some people have a sensitivity or allergy to certain metails. To address concerns over titanium dental implants, zirconia ceramic implants were developed. Zirconia is very strong, hard, and has also been used for making crowns and bridges. Additionally, it was discovered that zirconia also fused to bone much like titanium. Click to read more information on Zirconia ceramic dental implants and how they can benefit you. We provide personalized, relaxing dental care for the whole family using herbs and energy medicine based on quantum physics. Our practice also utilizes Dental Thermography for early detection. Click to read more information on the interactive Meridian Tooth Chart and how each tooth relates to the body. 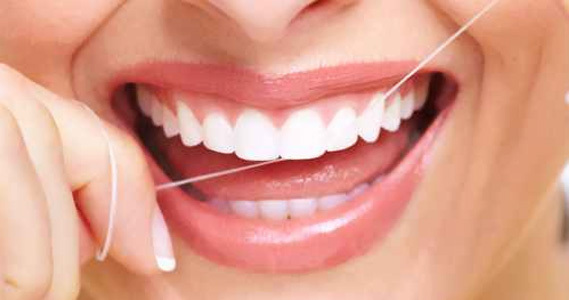 We can keep you smiling with gum disease prevention! Click to read more information on dental ozone, herbs, biomimetics, and homeopathic dentistry. Lasers can reduce symptoms and healing times associated with traditional therapies, reduce the amount of bacteria in both diseased gum tissue and in tooth cavities, and control bleeding during surgery. We offer Teeth Whitening and Corrective services. Click to read more information on biocompatible materials and Clifford Testing. ALF Appliance is a holistic method to align a patient's teeth and improve their bite without braces that has been shown to reverse the effects of poor facial development, facial damage caused by traumatic birth, TMJ pain, and more. Click to read more information on ALF Appliance. Choose a toothpaste that's free of sodium lauryl sulfate. Rinse mouth with warm sea-salt water and a few drops of clove or mint oil instead of mouthwash. Try "oil pulling" by rinsing your mouth with a tablespoon of coconut oil for approximately 15 minutes, and then spitting out the oil. The antibacterial, antiviral, and antifungal components of coconut oil literally pull out any unhealthy microbes that may be hiding in your teeth and gums. Invest in a tongue cleaner, a U-shaped tool that scrapes off any residue. If you constantly have a white coating, then consider taking probiotics to control internal yeast. For teething in babies, mix clove oil with lavender, orange essential oil, and a bit of coconut oil. Using your finger, apply it to the gums. Put lavender on the back of the baby's neck and on the inside of the wrist. You can also rub the back with lavender or put some drops on the baby's pillow. Avoid decay by taking minerals, Vitamin D & K, fermented and sprouted grains, coconut produce, Mānuka honey, probiotics, and avoid sugar! 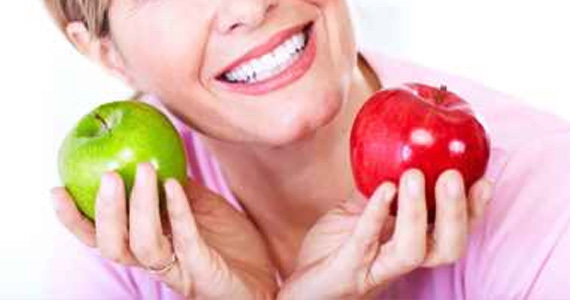 Seek a holistic dentist to take care of your fillings. Mercury fillings can be unsafe and can cause a wide range of illness symptoms. Eat alkaline foods such as beans, and greens to help maintain a good body pH. Get plenty of sleep and exercise daily to ward off whole-body inflammation. Drink the amount of water equivalent to half your body weight in ounces each day. If you are not drinking water, you are not giving your body the resources it needs to flush toxins and stay healthy!